The stamp collection mania occurred shortly after the first stamps were used for mailing letters. The first official name for the hobby was timbromania, derived from the French word timbre, meaning stamp. It was 1864 when the word philately, a Greek term which means love for tax-free things, was coined. And it became the official term for the hobby up to the present. However, there came a time that philatelists seem to be unrecognized and silenced especially in the United States. The hobby of collecting stamps seemed to be uncommon to Americans. Then came President Franklin Delano Roosevelt. He is a stamp collector. And he is proud of it. In his terms, he ordered his Postmaster General James A. Farley to issue lots of new stamps. He even helped design some of them. His confession encouraged “closet collectors” and non-collectors to pursue the hobby. Soon, stamp collection regained its glory because more and more are people trying it. 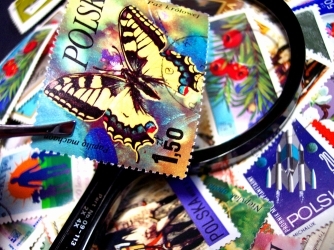 Aside from being categorized as a beginner or a professional, stamp collectors are classified into types. They differ from each other based on the kind of stamps they collect. A beginner is more likely to specialize on a certain set of stamps while professionals can maintain a more diverse collection. 1. Origin	- stamps of US, stamps of Europe, stamps of Hawaii, stamps of Rome, or stamps of the world. 3. Image – all portrait stamps, all flag stamps, all map stamps or all flower stamps. 4. Themes – historical collection, sports collection or religious collection. Which ever type of stamp collector one chooses to become, knowing the real value of the hobby is the most important thing. Learning new lessons, discovering new things, reaching far places, and experiencing other cultures are just some of the perks stamp collecting offers. But beyond those benefits, every collector gains qualities such as patience, frugality, sense of responsibility and determination. And these traits are more valuable than all the stamps in the world combined. Whether as a form of relaxation, a means of escape, or a potential business, collecting stamps is an activity that gives genuine pleasure. It also gives the collector a sense of having something of his own. And it will someday be a legacy, which tells of a happy, satisfied and well-lived life.